I like the concept of a longer pickguard with both pickups under it. 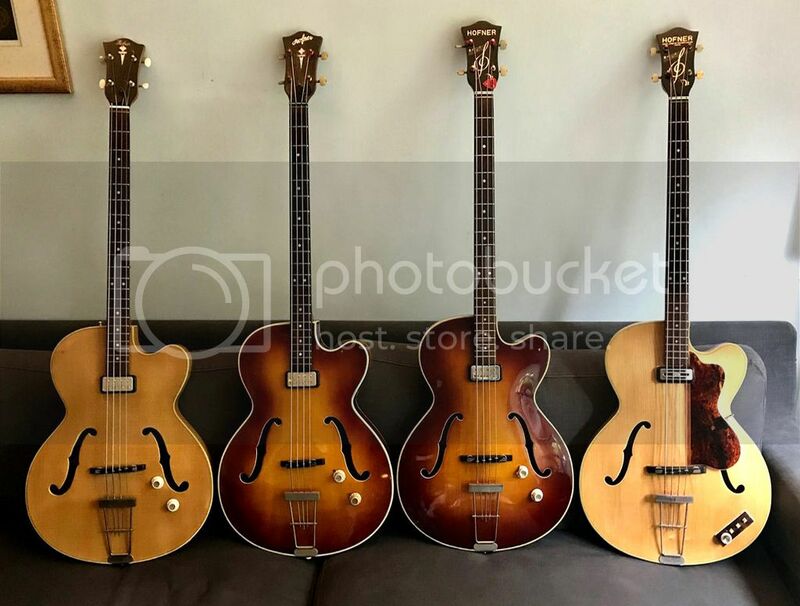 Very cool basses. I did something very similar with the bass neck on my custom doubleneck Rick. Toaster coils with hi gain covers. No Toasters were harmed in the building of this instrument. The guitar neck had HB1's at one time, but now has a pair of guitar bridge position hi-gains due to the slightly wider string spacing. That neck has been converted back to a standard six string. Nice to see black binding. And white. So cool! Well done, RIC. aceonbass wrote: No Toasters were harmed in the building of this instrument. The guitar neck had HB1's at one time, but now has a pair of guitar bridge position hi-gains due to the slightly wider string spacing. That neck has been converted back to a standard six string. Looks like RIC has their ear to the ground, short scale basses have been really hot the last few years.. I like these alot better than the new 5'r. cheyenne wrote: Looks like RIC has their ear to the ground, short scale basses have been really hot the last few years.. I like these alot better than the new 5'r. If they had their ear to the ground they'd build a 330-based 30" bass. cheyenne wrote: Looks like RIC has their ear to the ground, short scale basses have been really hot the last few years.. I think folks are realizing that longer scale length does not translate to bigger/better tone. 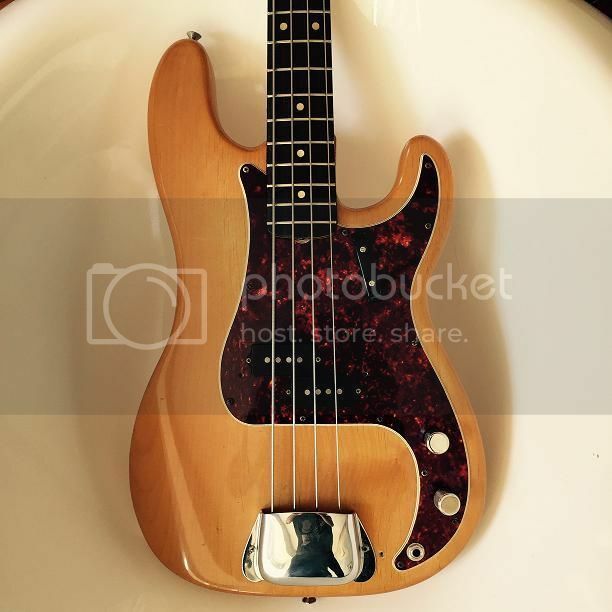 Short scale basses also seem to play to the hipster millennial simpler = better aesthetic. Certainly lots of 35'' scale basses end up sounding more anemic than anything, to my ears. I have been wanting a JPJ Mustang lately. cheyenne wrote: I like these alot better than the new 5'r. They look nice, but as custom one-offs, I can't get too excited. OK, that just changed my mind. No short scales for me!